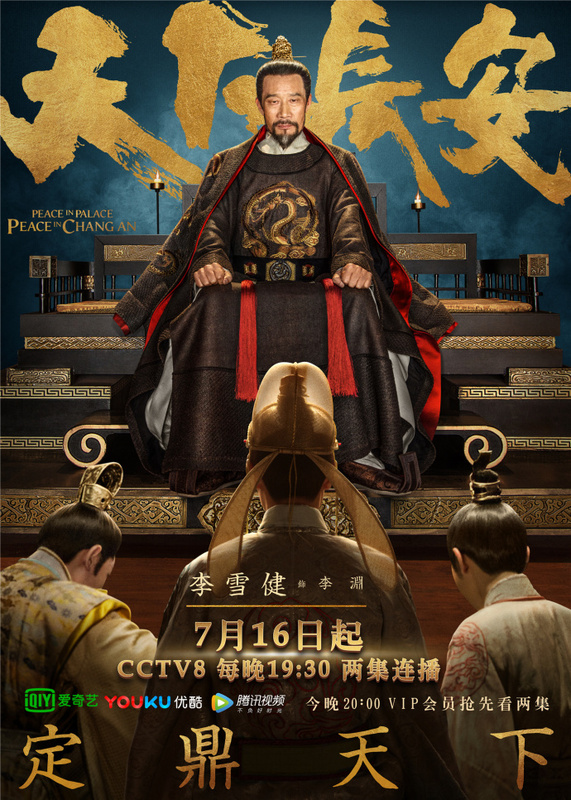 Peace in Palace Peace in Chang An 天下长安 is set at the beginning of the Tang Dynasty and the challenges the people faced before it paved the way for the Golden Age of peace and prosperity. The show was supposed to premiere on July 16 but was replaced by Legend of Kaifeng instead. As the wait continues, let's get to know each of the characters. 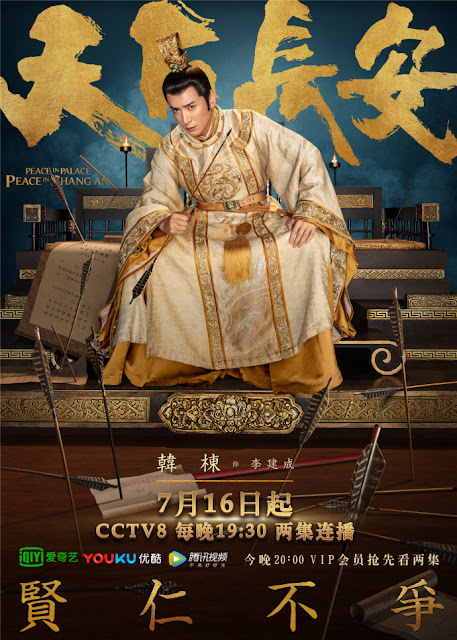 Zhang Han Yu plays the Prime Minister, Wei Zheng, who seeks to achieve peace and prosperity. 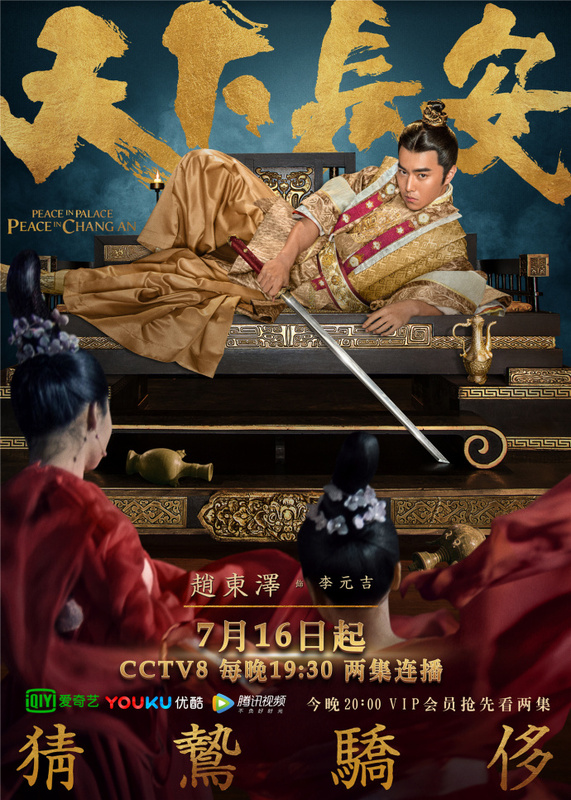 Qin Junjie plays Li Yuan and Queen Dou's second son, Li Shi Min. 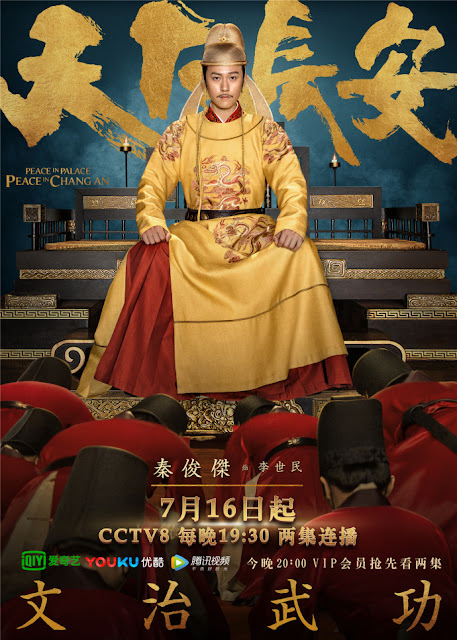 He initiated a mutiny against his brother, the Crown Prince Li Jian Cheng and Li Yuan Ji so he can ascend to the throne. Li Xue Jian plays the founding emperor of the Tang Dynasty. Han Dong plays the eldest son of Li Yuan, the Crown Prince Li Jian Cheng. Shu Chang plays Li Shi Min's wife, Jie Luo, who is eloquent and wise. She gives Li Shi Min three sons and four daughters. 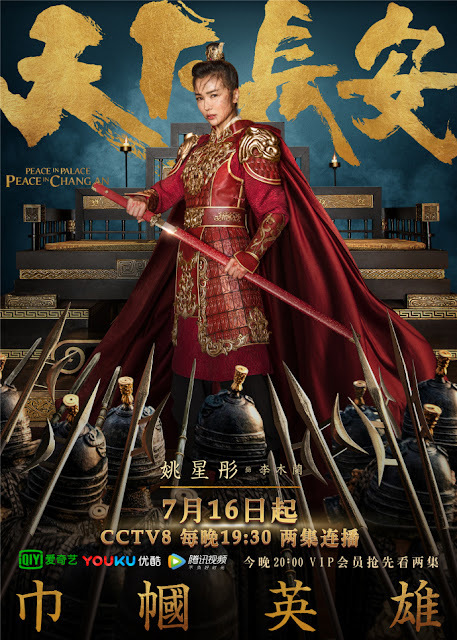 Yao Xing Tong plays Li Yuan's third daughter, Li Mu Lan or Princess Ping Yang. She is a female warrior and a hero. Lian Yi Ming plays Li Mi. 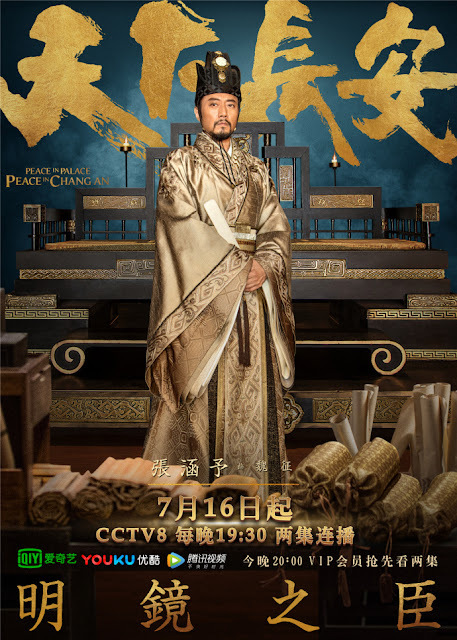 He is one of the eight pillars of Western Wei and the grandson of Li Bi. 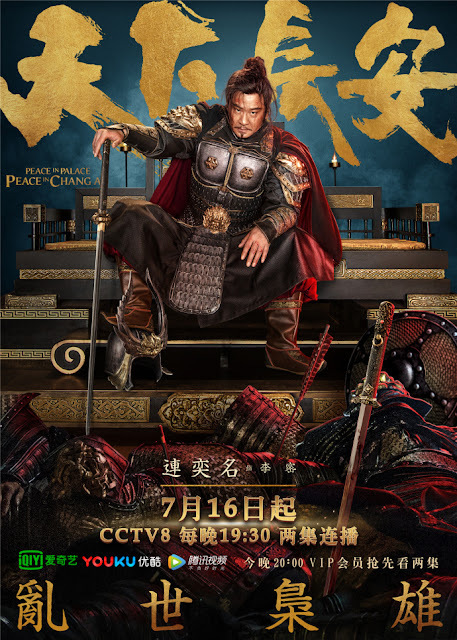 He leads the Wa Gang Army and prominent figure during the Sui and Tang Dynasty. Zhao Dong Ze plays Li Yuan Ji, Li Yuan's youngest son. 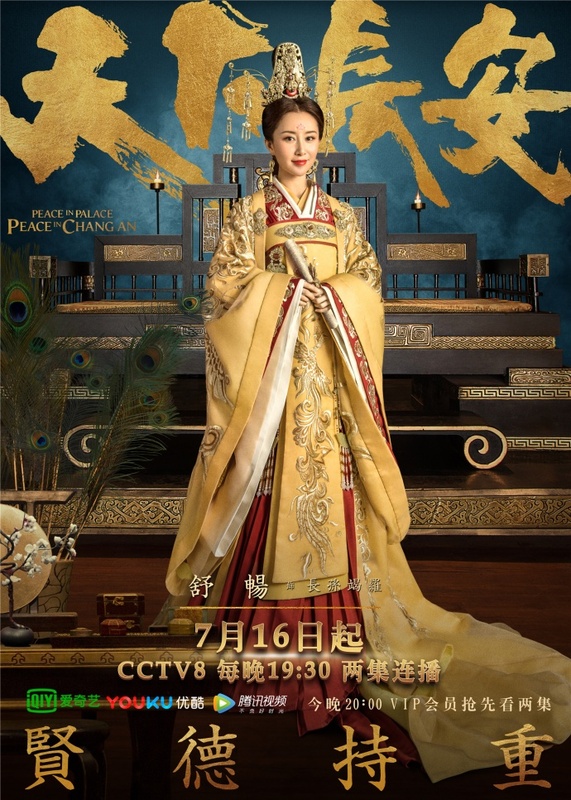 Omg a drama that will finally show Princess Pingyang (even though she's not a main character)! It's time for China to embrace this real-life woman warrior!